The Gold Coast, Australia’s favourite classroom, is recognised globally for providing quality education and training, innovation, employability and opportunity. Study Gold Coast’s mission is to promote, grow and unite the Gold Coast’s education and training sector. Working with the sector and the City of Gold Coast, Study Gold Coast has an ambitious target of international and domestic student growth. As the peak city marketing body for the education and training sector, the role of Study Gold Coast is to build the city’s reputation as an education and training destination of choice. 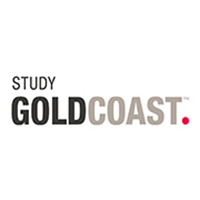 Study Gold Coast has a targeted Student Attraction strategy which focuses on the key source markets which are best to achieve strong growth. Using compelling and engaging content and word of mouth advocacy, the organisation seeks to value add to the marketing efforts of the sector, promoting brand over product to complement the industry’s institution and education and training offering. Study Gold Coast acts as a valued and independent source of information which potential students, parents and influencers can draw upon to help reach their decision. Study Gold Coast’s city brand positioning complements the product and what the institutional sector does, widening the pool of prospective students through effective and data-driven city positioning. Study Gold Coast continues to improve the Student Experience in an effort to nurture Gold Coast alumni champions to help drive further growth and the retention of current students, and it invests in supporting students through employability and support opportunities to help enhance graduate outcomes. Working closely with all levels of government, as well as offshore governments, Study Gold Coast will continue to advocate and build the brand for the $1.5 billion sector as the city advances into its next phase of maturity. Learn more about Study Gold Coast’s initiatives such as the Talent for Business Growth Program and the Careers Explorer. Shannon Willoughby, CEO at Study Gold Coast presenting at the ACS Seminars in the Gold Coast. For further information about the Australian Careers Service, please use the enquiry form below. The Australian Careers Service is a free membership service developed for career practitioners. ACS members have access to a range of useful resources that are designed to help professionals keep up to date with the latest developments in their field. What does an ACS membership offer you?